One of the most beloved children’s cartoons is My Little Pony and this show is making a comeback. While this show was beloved and very popular back in the day for some parents it can bring even the slightest bit of nostalgia when they see their own kids today playing with some of their favorite characters. These ponies today are vibrant, and all have unique personalities making every pony relatable to your little ones. 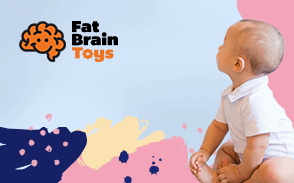 These toys will help your children mentally and physically as well as they promote your child’s creativity through pretend play when they act out their favorite scenes. Below is our top ten list of the best My Little Pony toys that 2019 has to offer. For this update we added one new product to our my little pony top ten list. We made sure that every product had a rating of 4.0 or higher and were still available in the market today. We added more information to our criteria section as well regarding how these ponies can be beneficial and educational for your children. If you have any other questions that you may need some answers too, please feel free to check out our FAQ below. Whether you love Fluttershy or Rainbowdash this My Little Pony toy set comes with all of your child’s favorite ponies. This set also is perfect for any child ages 3 and up. It comes with 10 different ponies that your little one can act out their favorite movies or episodes with which will also help boost their creative skills through pretend play. These toys all come in beautiful vibrant colors and look exactly like the ponies featured in the hit tv series. Your little one will love being able to act out their favorite scene or start to create their own adventure. This set includes the following characters: Fluttershy, Rarity, Applejack, Spike the Dragon, Princess Celestia, Princess Cadance, Princess Luna, Pinkie Pie, Twilight Sparkle, and last but not least Rainbow Dash. This toy set is perfect for your little one who may just be getting into the hit series and doesn’t quite know who the main characters are. This set of ten will lead them in the right direction. We love this product because it includes every pony that has been a fan favorite over the decades. Whether you have children who love this series or just starting to love it’s the perfect gift for any occasion. Your little one will be acting out their favorite scenes in no time. Have you ever seen something so cute? We’re sure you have, but just wait until you put this on your little My Little Pony fan. This headband is a super-fun costume addition for Halloween but also serves as a great dress-up accessory. For fans of the show, it’s a must-have and would be an amazing piece for a My Little Pony-themed birthday party or for dress-up day at school. Plus, what kid doesn’t want rainbow hair every now and then? Kids can use their imaginations to become a pony and go on adventures with their little pony friends. They can brush and maintain their new rainbow bangs just like they do with their little pony’s hair. Little girls learn how to brush real hair and create hairstyles while they are playing with their ponies' hair. If they are a little responsible, their headband will last for a long time. Little girls love to wear their headbands and play as MLPs all day long. It’s cute and shiny. Kids instantly go for this costume headband first, before their other hats. Pony necklaces are one of the cutest things to create. Your kids will love creating customized necklaces with this activity set. The activity set includes 5 special charms, 5 silicone string necklaces, and 150 plastic beads to be able to create with. Creating the necklaces is easy by just simply sliding the charms and beads onto the silicone string. They can mix, match, and design necklaces over and over. All the materials included are reusable. Included with the activity set is a plastic case that has been constructed from plastic. Everything stores neatly in the case and it features a handle that makes it easy to carry everywhere they go. The set is best suited for children over the age of three years old. Creating jewelry is a great activity for a rainy afternoon. This activity kit is great because it comes with a storage case for everything to neatly be stored in and then they can even carry it to a friend’s house. Kids are not allowed to bring their My Little Pony dolls to school. But they can take their M.L.P. themed sweater. During recess and at home, kids can play as their favorite M.L.P. character with their Rainbow Dash sweater. It’s not just a fun sweater, its functional too. It does a great job of keeping its wearer nice and warm. The colors are strong and vibrant. It will continue to look like new after a few washes. As kids grow they can hand this fun sweater down to the next sibling. This franchise is so popular that the sweater should be current for a few more generations. This sweater has pockets on the side. The made is made from soft fleece. It can be worn during Halloween or for any costume event. This sweater doesn’t include Rainbow Dash’s unicorn. It completes a little girls costume and keeps her warm. Buy the matching socks and headband and she’s all set. This dress has wings! All the little girls will know who’s birthday party their attending when they see the birthday girl wear her perfect Pinkie Pie dress. It is an outfit with a comfy T-Shirt style top with short sleeves and frills. The cute pink skirt is sewn together with the top and the novelty sparkly belt ties the dress together. The front has Pinky Pie’s adorable face on the front and wings on the back. This is the type of dress that little girls can store in their costume box or drawer. This dress is machine washable. It is an officially licensed My Little Pony product. The sizing chart is accurate. A size 6 will fit a normal 6-year-old girl. Holds up well after a few runs through the washing machine. Little girls don’t want to take off their dress when it’s time to change. This style of dress instantly becomes a little girls favorite outfit. It looks great as the birthday girl’s party dress. Kids can take their favorite character, Pinkie Pie, with them wherever they go. While they have their super-tasty, healthy lunch they can chill with Pinkie Pie. This lunchbox does a great job of holding lunch items with its secure latch closure. It can hold food, supplies, toys and more. This non-magnetic tin case includes an image of three popular My Little Pony characters on the other side. It is a great gift that goes well in a My Little Pony collection. This lunchbox can hold kids' snacks and small toys during trips. It’s small enough that kids won’t take too many things on trips. We love that how, in addition to the show, all of these retro toys are coming back. TY Beanie Babies are one of them, and this Princess Celestia toy is definitely one for the books. As an official TY Beanie Baby, she’s created with perfect detail, even down to her brightly-colored mane and shimmering wings. It’s a great gift for collectors but also fun for fans of the show to play with as well, because it is so realistic for a Beanie Baby. Her crown and adjoining gold necklace sparkle in only a way that a princess’s can and we’re sure that your little one will feel like a princess with this toy, too. Little girls love to run their fingers through Princess Celestia’s hair. It helps them calm down and relax after feeling blue or fussy. This plush is so pretty and it’s safe to use. If a younger baby sister gets a hold of Celestia, both toy and child should emerge unscathed. Princess Celestia is made from embroidered parts and her accessories are sewn tight. This pony’s hair is long from her head and tail. It can be combed with little fingers or a tiny comb. Girls love to snuggle with their Princess Celestia pony and take naps. It’s a quiet toy that requires no batteries or assembly. If tossed it can’t hurt other children because all of its parts are soft. There are no sparkle strands in Princess Celestia’s hair. This pony is so beautiful. When little girls see their new pony for the first time they’ll instantly fall in love. Rainbow Dash is one of the popular main characters of the show. Little girls will scream with happiness when they open up their gift that reveals this plushy pony. It is 8” tall, which is the standard size for many plush toys. Rainbow Dash is blue with rainbow colored hair and shiny wings. While girls are visiting with friends or on the road, they can play as Rainbow Dash. A strong pony with a fierce personality. She is perfect to add to any My Little Pony collection. Even when little girls aren’t playing, they fall asleep while they run their fingers through Rainbow’s hair. They can take their favorite pony to show and tell and explain to everyone why Rainbow Dash is awesome. Its eyes are embroidered and cannot be swallowed by the tiniest babies. Its wings are 3D and not embroidered flat on their backs. The hair is manageable and some strands are sparkly. When Rainbow is dirty, a quick wipe is all that is needed to help keep her clean. It would be nice if it came with a small matching comb for the ponies hair. LIttle girls can brush Rainbow Dash’s hair and then brush their own hair while they are at it. It is a cute site to see little girls brushing their hair and playing with their pony. All My Little Pony parties need these rings. It’s not a real M.L.P. party without this 18 ring set. These rings are different colored and have different shapes and ponies. One of them is a pretty pink, heart-shaped ring with a picture of Pinkie Pie. They’re great for costume parties and as a daily costume accessory. Each ring is size adjustable. This is important because little fingers can easily become stuck. Rings that are not adjustable can lead to expensive hospital trips if left on too long. Instead, these type of rings make it so if it doesn’t fit their fingers properly they can still take them off without causing problems. They are great cake toppers. They can be put into kid’s gift baggies. They can be put into a pinata and fly out with all of the candy. Little girls can learn how to exchange with each other if they want different ponies for their collection. Toddlers shouldn’t play with this set because they might swallow the rings. They should be supervised if they want to try one on. The rings colors are vibrant and girls love them. They make great gifts for birthday parties and stocking stuffers. Rarity is a super soft and cuddly pony. Its eyes are bright eyed and her unicorn is sparkly. Her best feature is probably her luxurious blue and purple hair. Little girls love to play with Rarity and take her out on adventures. Rarity doesn’t like to play in the mud, but she is perfectly happy to play in a dry and clean space. Kids don’t mind how big this pony is. They all love Rarity because she is a great toy to cuddle with and she is still absolutely beautiful. Little girls can get together with their ponies and play. Rarity is such a pretty pony, she’ll fit right in with the rest of the group’s pony’s. They can go through a game together or brush their hair and practice the art of small talk. Rarity is also a good listener, she likes to listen to little girls talk about their day and is great at keeping secrets. This pony is an official TY baby, it has the tag that proves it. When this toy shows up in the mail it comes in a plastic wrap that protects it from damage. This pony is not glittery, so it won’t make a mess. The only glitter on her is from the reflective fabric on her unicorn. This pony is 6.5” tall and not 8” tall like the standard plushy size. Kids don’t mind how big this pony is. They all love Rarity because she is a great toy to cuddle with and she is still absolutely beautiful. Since its first debut over decades ago, My Little Pony has become an instant sensation. In today’s world it’s still one of the most popular series. There are so many My Little Pony toys in today’s market that we knew it was going to be a very tedious and somewhat overwhelming task to create our top ten list. We knew that we had to carefully decide when coming up with our list. We wanted a list that was not only suitable for girls but suitable for boys as well. We also wanted to make sure that our list was perfect for those parents who may not be too familiar with the franchise but are just starting to learn since their little one has started to become obsessed. When coming up with our top ten list we made sure that we chose nothing but the best of the best that the market had to offer for 2019. The toys on our list also include a variety so that not every item on our list are all roughly the same. This can also be a wonderful bonding experience for parents and children because while they are combing their favorite characters tail, they can chit chat about their favorite scene from the show, their favorite character, or anything that they might want to act out. This will overall also help not just your child’s creativity skills and getting them to think outside the box, but it will get your child’s social skills and raise their confidence. Whatever you are looking for when it comes to this franchise, we are sure that on our list there is something suitable for everyone. Be sure to check out our top ten list above. Q: What is today’s rendition of My Little Pony about? A: The 2010 version of the popular franchise is about a unicorn pony named Twilight Sparkle and her mentor Princess Celestia. The Princess helps Twilight learn about friendship as she makes friends with other ponies and goes on adventures with them. As the story unravels, Twilight learns that she is a key for the elements of Harmony. Twilight and her pony friends travel around their hometown of Equestria and work out problems that arise within themselves. Q: Is My Little Pony a little girls’ show? A: My Little Pony is so popular that there are several different types of people that are fans. This show is supposed to be for little girls, but it is enjoyed by all members of a family. The old ’80s version had poor animation, bad voice acting, and boring designs, but it was still popular. Presently, it is a vibrant show with good storylines and superb graphics. The characters face real problems and break several stereotypes. Q: Are there some things parents should know about M.L.P? A: The male ponies in this show are background simple characters. They don’t have a big role in anything and they have limited lines. The male ponies are seen staring off into space or saying things like yup and huh. Ponies cannot be black, that color is reserved for villain ponies. There are other little facts about the show that are meant to be innocent but can be taken out of context. When Twilight Sparkle makes a room full of clones of herself disappear, was that murder? Q: What are some secrets of the franchise? A: There are fans that made their own version of an M.L.P. and are selling them online. There are now Xenomorph and Joker ponies online. As well as He-man, Edward Scissorhands ponies and more. A weird fact is that some names were banned from the show because they didn’t sound innocent like Steamer and Ruby Lips. Q: Why should kids watch My Little Pony? A: The show teaches children to believe in themselves and provides positive examples of conflict resolution. The characters are sweet and respectful of each other, often reinforcing good behavior. Despite being a show for small children, it explores simple ethics and morality in a way that doesn’t force an agenda yet provides a framework for children to build on. Q: What are some magical facts of M.L.P? A: M.L.P. is a feminist show. The main characters are all female and there are no masculine male ponies. The show celebrates feminine values, Pinkie Pie’s hilarious random humor, morally complicated situations, great music, and rebellious attitudes. This show teaches lessons about friendship and all its trials and tribulations. The lessons are popular enough for adults to tune into and enjoy. Q: Why is the modern-day M.L.P. better than its previous version? A: It’s colorful and more serious. Characters die in this show and they show having funerals. One of the characters strongly implied they died from cancer. This harsh peek at reality and the fantastic graphics keeps audience members asking for more M.L.P.